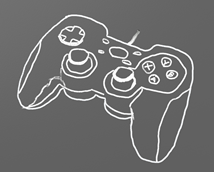 How do we get objects to move using the keyboard, mouse, or a game controller? So far, we've shown how to animate items on the screen, but not how to interact with them. 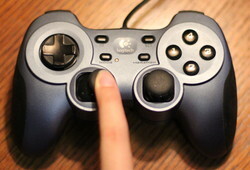 How do we use a mouse, keyboard, or game controller to control the action on-screen? Thankfully this is pretty easy. To begin with, it is necessary to have an object that can be moved around the screen. 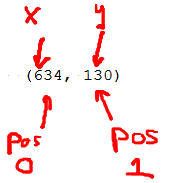 The best way to do this is to have a function that takes in an x and y coordinate, then draws an object at that location. So back to Chapter 9! Let's take a look at how to write a function to draw an object. All the Pygame draw functions require a screen parameter to let Pygame know which window to draw on. We will need to pass this in to any function we create to draw an object on the screen. 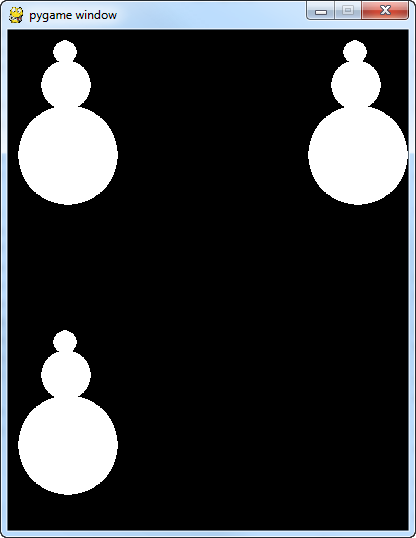 Then, in the main program loop, multiple snowmen can be drawn, as seen in Figure 10.1. This code can easily be put in a function by adding a function def and indenting the code under it. We'll need to bring in all the data that the function needs to draw the stick figure. We need the screen variable to tell the function what window to draw on, and an x and y coordinate for where to draw the stick figure. But we can't define the function in the middle of our program loop! The code should be removed from the main part of the program. Function declarations should go at the start of the program. We need to move that code to the top. See Figure 10.3 to help visualize. Right now, this code takes in an x and y coordinate. Unfortunately it doesn't actually do anything with them. You can specify any coordinate you want, the stick figure always draws in in the same exact spot. Not very useful. The next code example literally adds in the x and y coordinate to the code we had before. But the problem is that the figure is already drawn a certain distance from the origin. 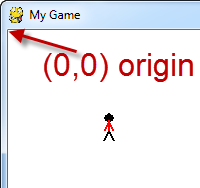 It assumes an origin of (0, 0) and draws the stick figure down and over about 100 pixels. See Figure 10.4 and how the stick figure is not drawn at the (0, 0) coordinate passed in. The code does not put a stick figure at (50, 50). It shifts the origin down and over 50 pixels. Since our stick figure was already being drawn at about (100, 100), with the origin shift the figure is about (150, 150). How do we fix this so that the figure is actually drawn where the function call requests? The trick is that coordinates are returned as a list, or more specifically a non-modifiable tuple. Both the x and y values are stored in the same variable. So if we do a print(pos) we get what is shown in Figure 10.6. Getting the mouse should go in the “game logic” part of the main program loop. 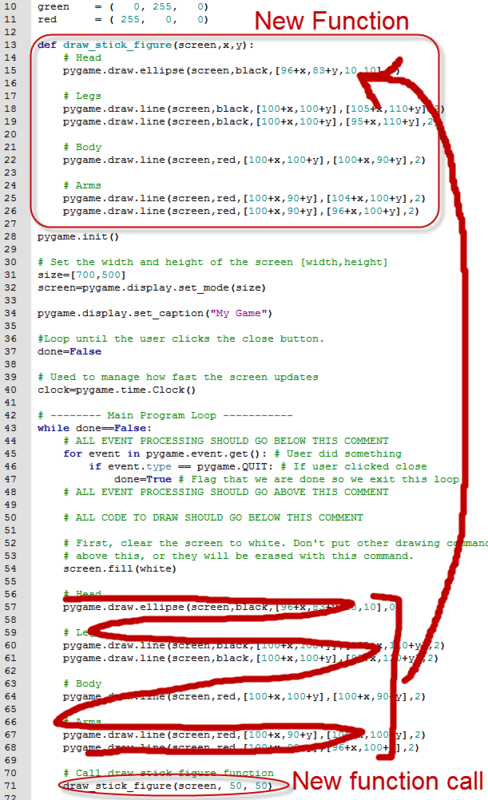 The function call should go in the “drawing” part of the main program loop. The only problem with this is that the mouse pointer draws right on top of the stick figure, making it hard to see, as shown in Figure 10.7. Create an initial x and y for our start position. Adjust the x and y each frame depending on the velocity. It seems complex, but this is just like the bouncing rectangle we did before, with the exception that the speed is controlled by the keyboard. Inside the main while loop of the program, we need to add some items to our event processing loop. In addition to looking for a pygame.QUIT event, the program needs to look for keyboard events. An event is generated each time the user presses a key. # Move the object according to the speed vector. Note that this example does not prevent the character from moving off the edge of the screen. To do this, in the game logic section, a set of if statements would be needed to check the x_coord and y_coord values. If they are outside the boundaries of the screen, then reset the coordinates to the edge. The exact code for this is left as an exercise for the reader. 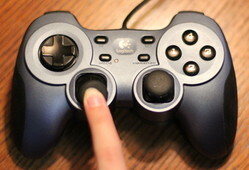 Game controllers require a different set of code, but the idea is still simple. 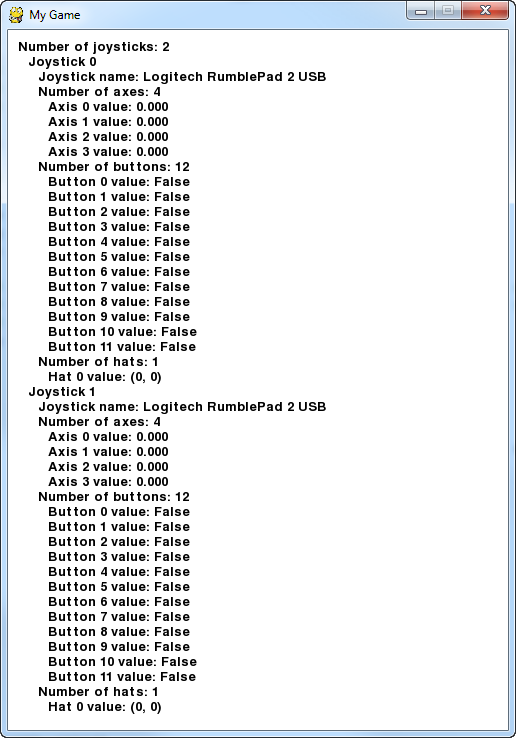 A joystick will return two floating point values. 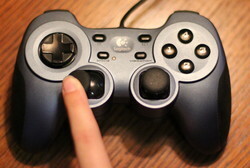 If the joystick is perfectly centered it will return (0, 0). 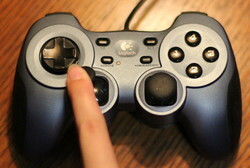 If the joystick is fully up and to the left it will return (-1, -1). If the joystick is down and to the right it will return (1, 1). 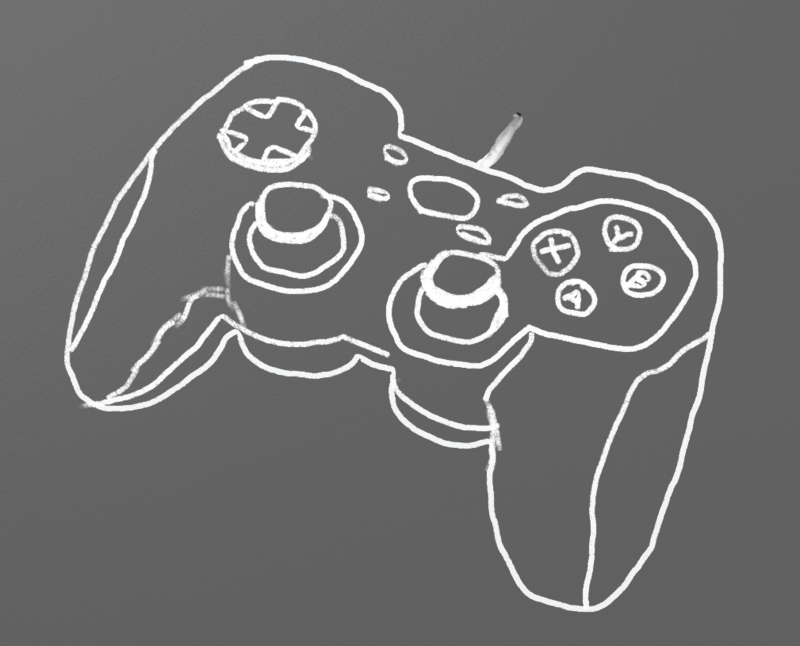 If the joystick is somewhere in between, values are scaled accordingly. 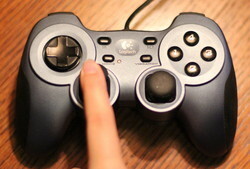 See the controller images starting at Figure 10.8 to get an idea how it works. 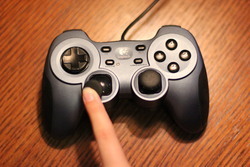 Inside the main program loop, the values of the joystick returns may be multiplied according to how far an object should move. In the case of the code below, moving the joystick fully in a direction will move it 10 pixels per frame because the joystick values are multiplied by 10. # This goes in the main program loop! # Move x according to the axis. We multiply by 10 to speed up the movement. # Convert to an integer because we can't draw at pixel 3.5, just 3 or 4. Controllers have a lot of joysticks, buttons, and even “hat” switches. 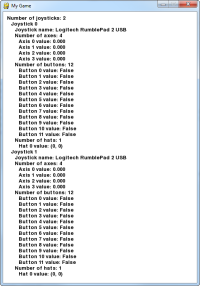 Below is an example program and screenshot that prints everything to the screen showing what each game controller is doing. 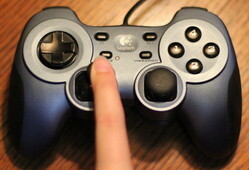 Take heed that game controllers must be plugged in before this program starts, or the program can't detect them.